Lenovo's Yoga 720 is a 15-inch quad-core convertible notebook that also packs an Nvidia GTX 1050 GPU. 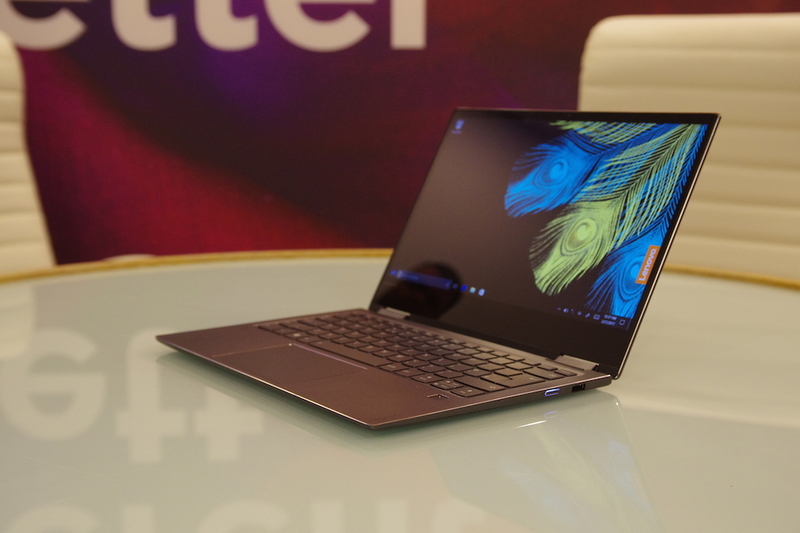 It has just gone live on Lenovo's website for US$1259 and is expected to ship in 4-5 weeks. Unveiled February this year at MWC, the Lenovo 720 has since been on people's radar as a competitor to the XPS 15 9560. Packing a quad-core Intel Core i7-7700HQ CPU and an Nvidia GTX 1050, Thunderbolt 3, a fingerprint sensor, plus a 360-degree hinge, it looks like an excellent alternative to those frustrated with Dell's XPS 15. As of tonight, Lenovo's mouth-watering 15-inch Yoga 720 has gone live on their website. Orders are being accepted and are expected to ship in 4-5 weeks. The CPU is indeed an i7-7700HQ (2.80GHz 6MB). The GPU is an Nvidia GeForce GTX 1050M with 2GB RAM as opposed to the 4GB found in the XPS 15 9560. With 8GB of DDR4 2400 RAM on-board, the maximum RAM the machine can accommodate is 16GB. It supports PCIe SSDs up 1TB, though is first shipping with 256GB. Given that the battery is larger than the XPS 15's 3-cell 56-WHr but smaller than its 6-cell 97-WHr, it seems like the smart choice is the FHD display. One more major advantage the Yoga 720 could have over the XPS 15 (other than this configuration's relatively inexpensive starting price of US$1259) is that the Thunderbolt 3 port is likely full-speed. We will confirm as soon as possible.